Banderishka Poliana, Top of gondola. 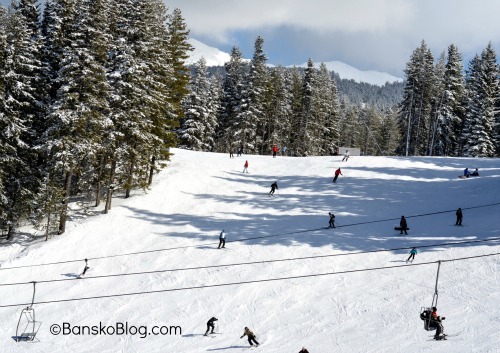 The Bansko gondola lift and all possible other lifts will remain open until 12th April 2015, as per banskoski.com. Ulen say this decision has been helped by the large snowfalls of over 1.5 metres in the main ski domain. Too right; it is wonderful conditions right now. But will the snow remain? More snow will fall today and tomorrow 14th March. I expect around another 5cm higher up. Well impossible to be 100% sure right now. The cloud will clear for Sunday 15th March. Expect mainly clear skies for the whole week commencing the 16th March. It will be simply amazing. 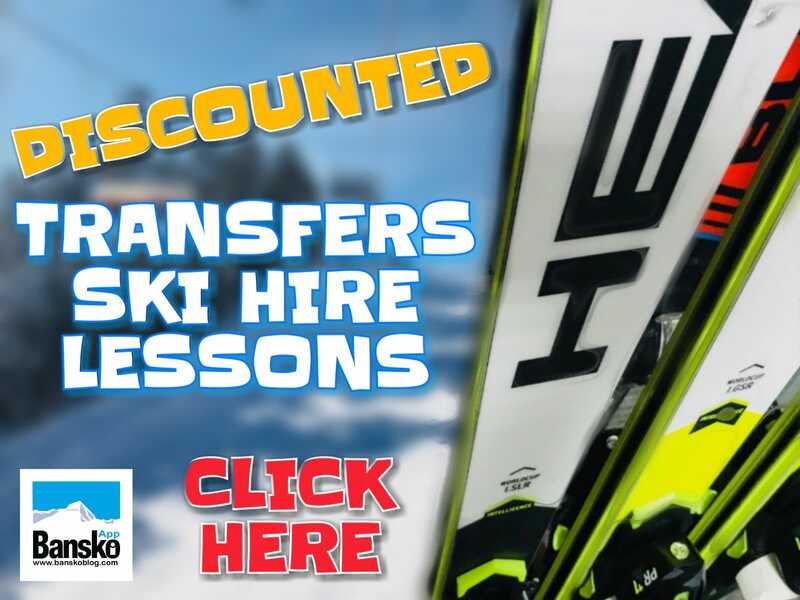 Ski and snowboard hire, ski school, lift passes and transfers at 20% discount. Wait a good few seconds for this page to download, then click on colourful writing “widget” above. UPDATE: This is the quickest and easiest way to get best latest pricing adjusted for foreign exchange rates. Then, should you decide to proceed, you can then check-out. We need at least 3 days notice for lift passes. Free WiFi for transfers. 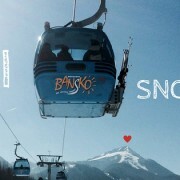 Stay connected all the way to Bansko. Free large piste map lens cloth for every person in your group. 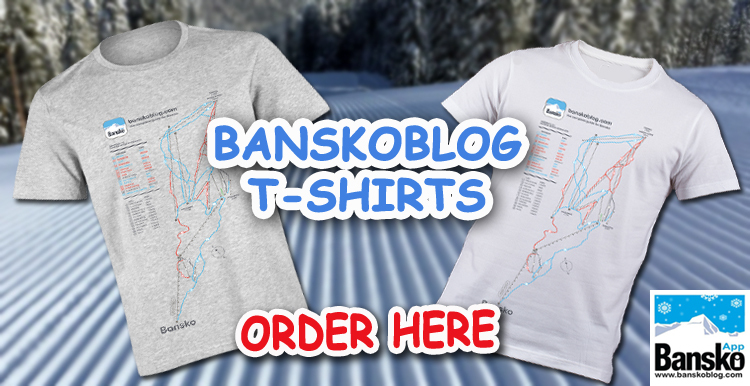 Never have a wet Bansko map again. Add your requirements, check and then submit. We then send you a payment request for credit/debit card (processed via PayPal). 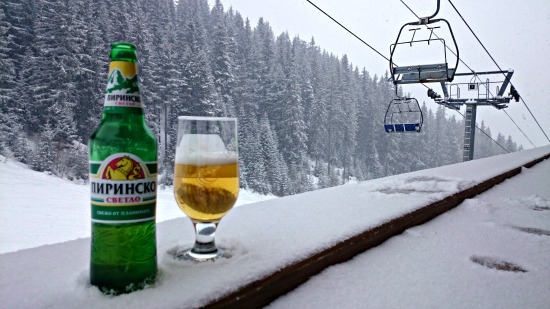 Lift passes include mountain insurance. Collect in shop. Free overnight storage of all your equipment in the shops – FAQ’s. Book online your ski package online by clicking on the colourful widget at top of page, or below. 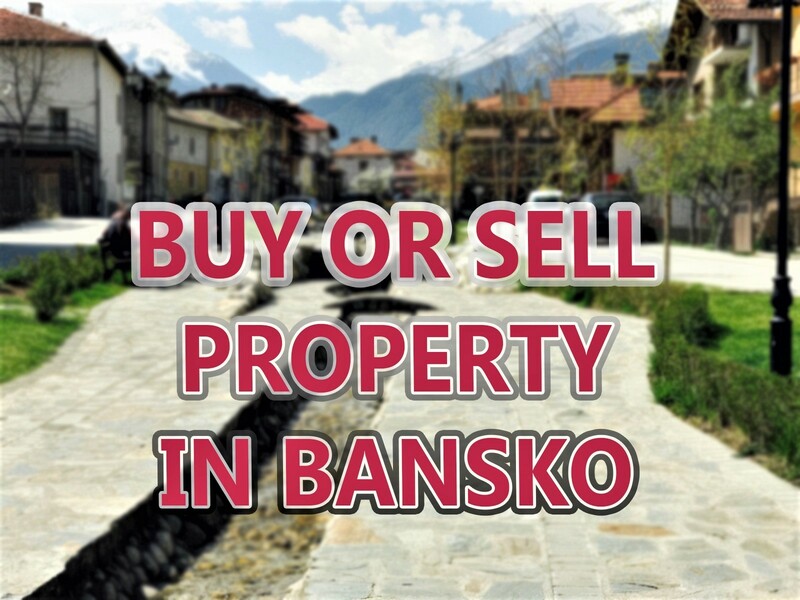 Booking with Bansko Blog for hire and lessons saves you money, whilst helping ensure that I continue providing snow reports, restaurant reviews, the live web cam, the Bansko mobile apps and more — all for free. 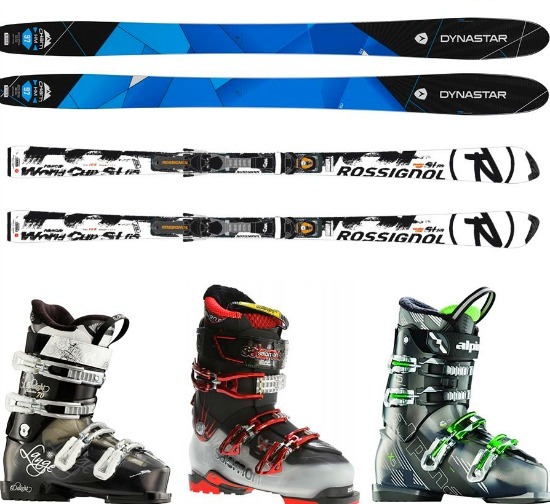 Head and Salomon Ski Hire here on Bansko Blog. Head Inspired by their Race Department. Pay by by credit/debit card (or €euro on request) via PayPal; or call +359 892 348600 with your credit/debit card number. Do not go off piste. Need curry? Snowman indian restaurant at the Dream Hotel is great. Sunny’s 87 Gourmet burgers, located opposite Happy End are tasty and good value too. Monday to Friday Kempinski set evening meal is excellent value. Book your Easter break today. Great to hear that the end of season will be as late as possible. 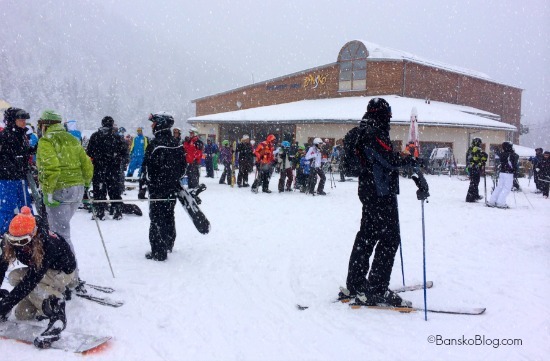 How are the pistes holding up? More importantly (almost) what about the bars and restaurants, have they started to wind down yet? Either way im sure there will be plenty to frequent when I arrive next saturday.